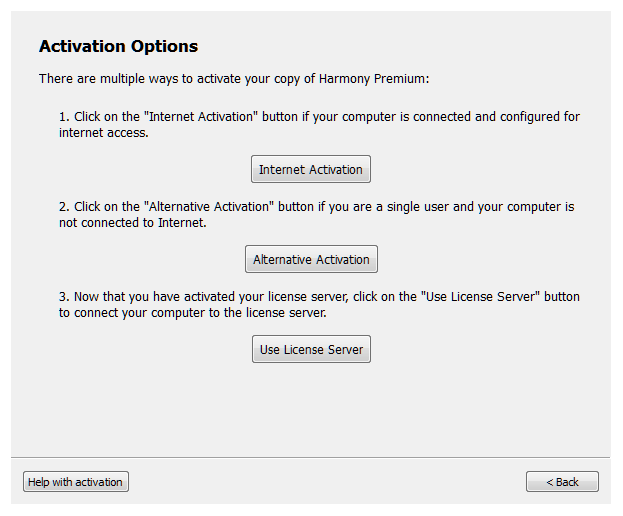 NOTE: An Admin account is required for setting up the license on the client workstations. After activation you can login as client. 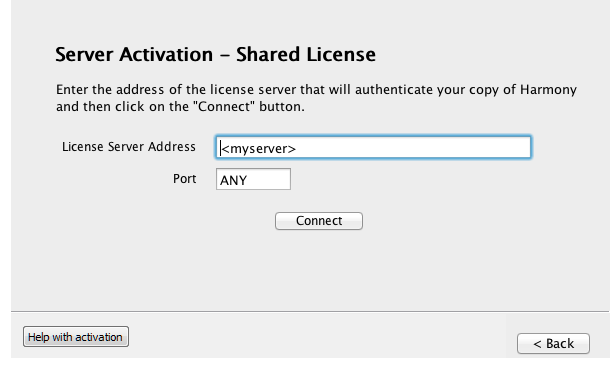 Open the License Wizard on the client workstation. 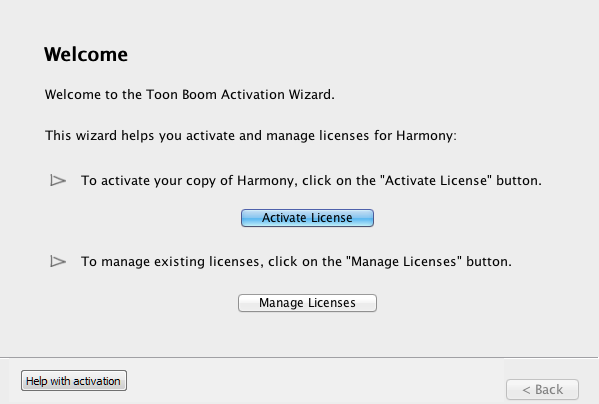 The Toon Boom Activation Wizard appears. 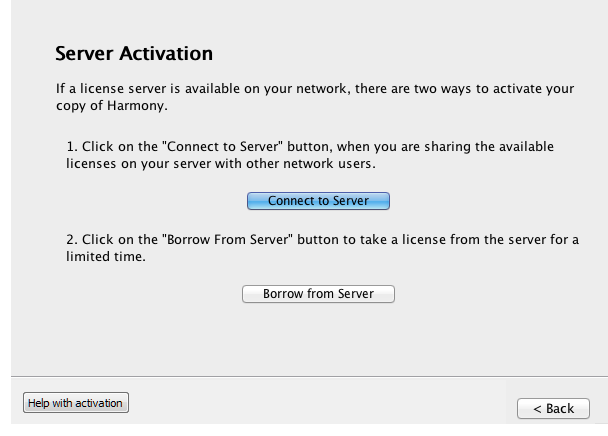 The Server Activation - Shared License screen appears. In the License Server Address field, enter the hostname or IP Address. The Activation Successful screen appears. Click Finish to close the License Wizard.